Craft containers, raised beds and vertical planters for edibles from junk scored for a song. 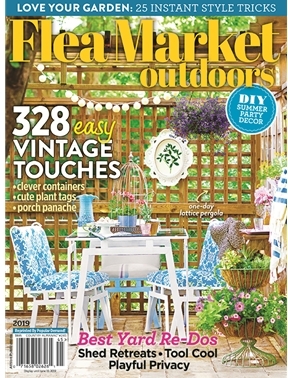 Turn glass and ceramic plates into dazzling yard art, marvelous all-weather mosaics and fun bedding borders. Host garden-themed parties using upcycled furniture and garden cast-off accessories. Upcycle salvaged items into paths, pergolas, fencing, tables and even potting sheds!